Do you know how to fight to save your teeth and gums when disease strikes? If your dentist has told you that you have gum disease, you are facing one of the most common dental problems. Also called periodontal disease, gum disease affects people of all ages and from all walks of life. You may have a mild form of gum inflammation called gingivitis or a more advanced case of periodontitis. In the worst cases, you could lose your teeth. Fortunately, if you care for your teeth and gums consistently from this moment on, you may be able to halt or even reverse some of the damage. 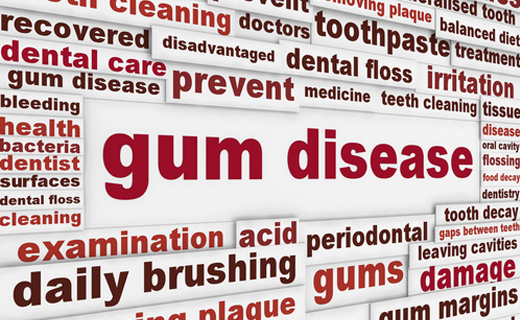 Gum inflammation begins when a sticky, bacteria-filled substance called plaque builds up on the surface of your teeth. If you don’t brush and floss properly, plaque bacteria cause inflammation and redness known as gingivitis. At this stage, the damage is often reversible. If left untreated, it will eventually progress. In reaction to the toxins produced by bacteria and the immune system’s attempt to battle the infection, gums will pull away from teeth and pockets will form at the gum line. Called periodontitis, this advanced form of gum disease involves the connective tissues and bones that hold your teeth in place. You can keep your gums healthy with a strict oral hygiene routine. Brush your teeth twice every day with fluoride toothpaste. Floss daily, and visit your dentist for routine check-ups and professional dental cleanings.